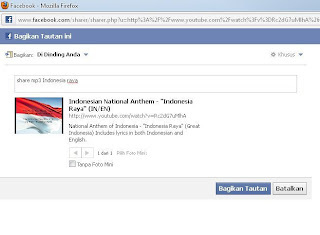 There are two easy steps to share Youtube videos into Facebook, not only sharing the video, you can also share mp3 video by using "share" feature. 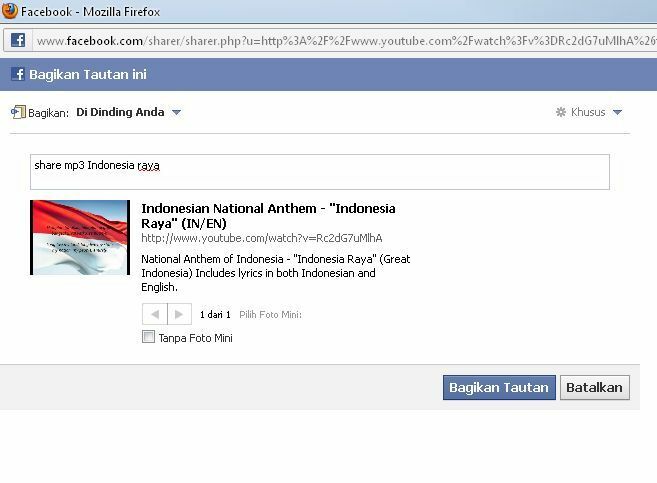 Just search the song and find unofficial video, at least wont make your Facebook friends get hard to buffer it. Copy the URL address link video and paste on your status. 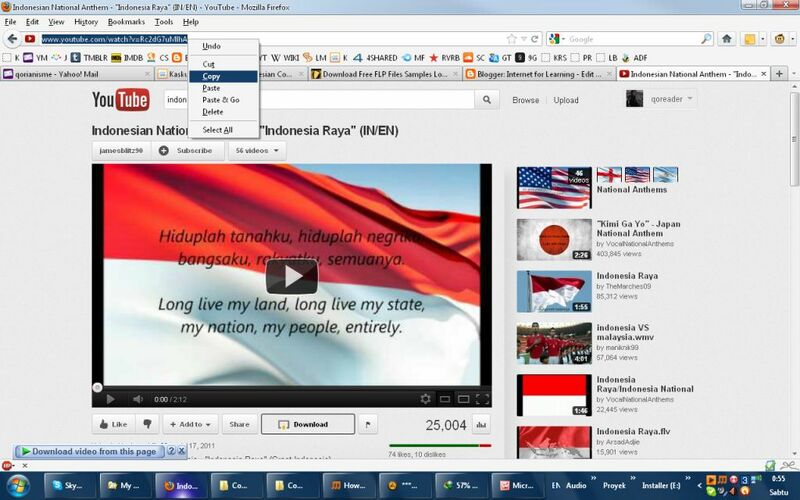 Use "share" feature under the video display on Youtube. The second way, in the same video, click "Share" option under the video, you can click F icon or Facebook, click it twice and it will make a pop-up appear, you can write about anything for your status which video link inside. , and then click SHARE, its done. Pop up to share video/mp3 video automatically.